This has been quite a summer, full of fun, travel, and friends. As I reflect on the past two months, I realize how blessed I am to have made so many wonderful memories during the summer of 2014! This is the third year that my BFF Alaina and I have attended ISTE together, then taken a trip after the conference. This year’s adventure was a three week road trip that took us 4200 miles! We started in Atlanta for #ISTE2014. 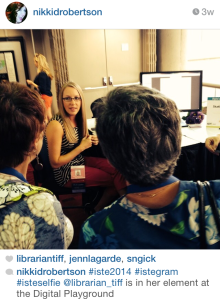 This was my 5th ISTE conference, and it didn’t disappoint. The annual conference is a chance for me to reconnect and spend quality time with my PLN, which I NEED in order to get myself ready for a new school year. 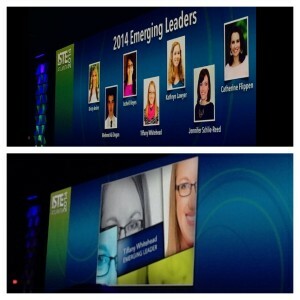 This year’s conference was extra special — this was my year that I’ve served as President of ISTE’s Librarians Network and I was recognized as one of ISTE’s Emerging Leaders. 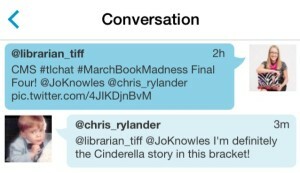 All of our Librarians Network (formerly SIGLIB; even more formerly SIGMS) events were absolutely AMAZING! 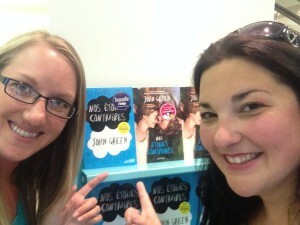 I was so stoked to finally meet the FABULOUS Jennifer LaGarde face to face at our Networking Fair. Jennifer also gave one of the BEST keynotes I’ve ever witnessed at our Librarians Network Breakfast. Seriously — Jennifer never ceases to blow my mind, and I am honored to call her a friend! 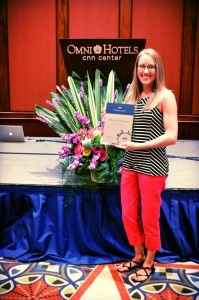 Later that day, I was recognized at the ISTE Awards Luncheon as one of the ISTE members under the age of 35 to be recognized as an Emerging Leader. 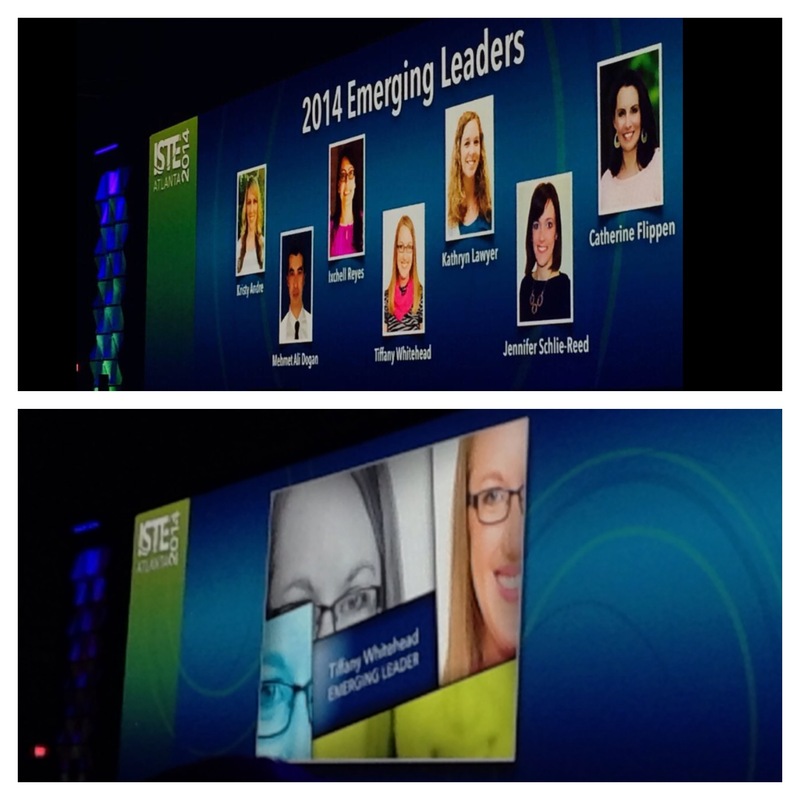 I’m so incredibly honored to now be part of this elite group of ISTE Emerging Leaders! 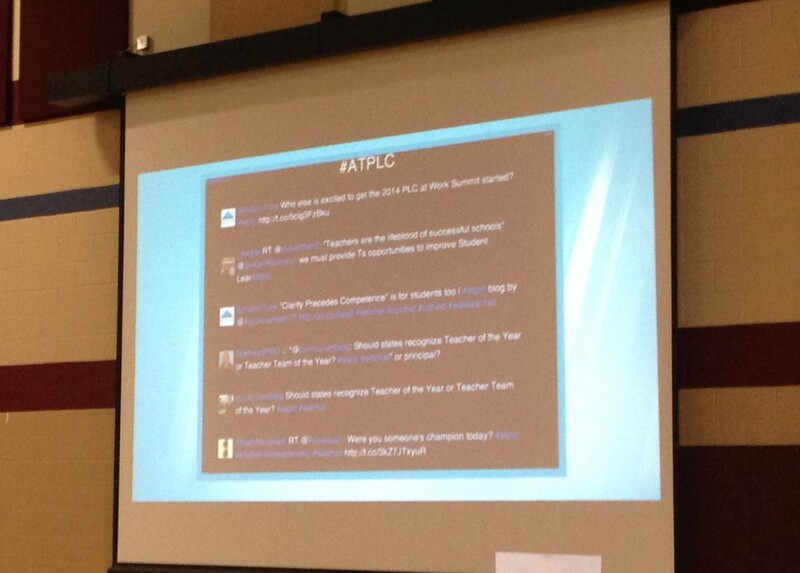 They also recognized the award winners at the middle keynote, so I was very excited to see myself on the HUGE screen! 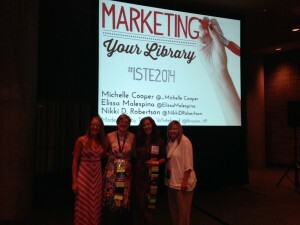 I had a blast moderating our Librarians Network Forum: Marketing Your Library, which featured Michelle Cooper, Elissa Malespina, and Nikki D. Robertson. We had a packed house, and these ladies shared the amazing things they’ve done in their libraries. 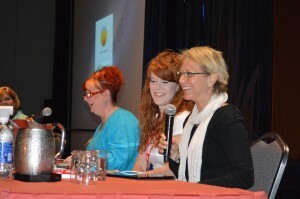 Our final network event of the conference was the Librarians Network Annual Breakfast and Keynote. Before Jennifer’s awesome Zombie Librarian Keynote, we took some time to recognize the accomplishments of our network and the great leadership team that I have had the privilege of working with for the past few years. I feel so lucky to have been given the opportunity to lead and work with such amazing librarians from all around the world…it’s definitely been one of those “get back more than you give” situations for me, and I look forward to staying involved and plugged in with this awesome group! 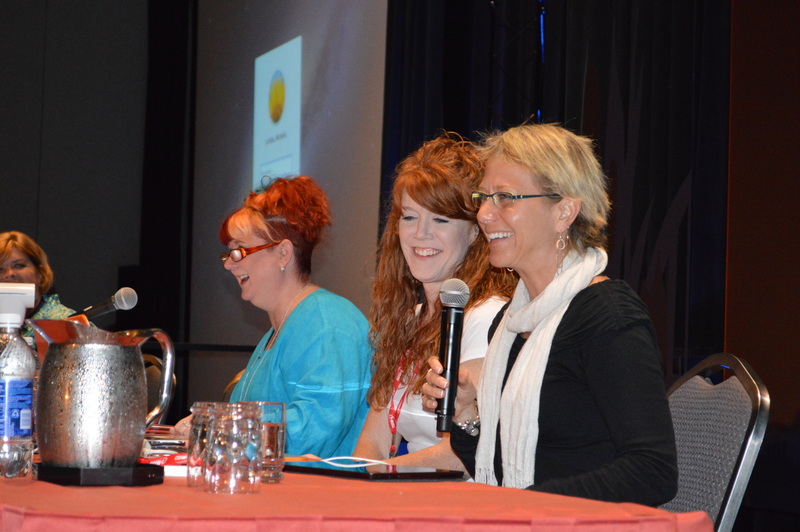 Shout-outs to Donna Macdonald (new President! ), Sherry Gick (new President Elect! ), Jenn Hanson (Communications Chair extraordinaire! 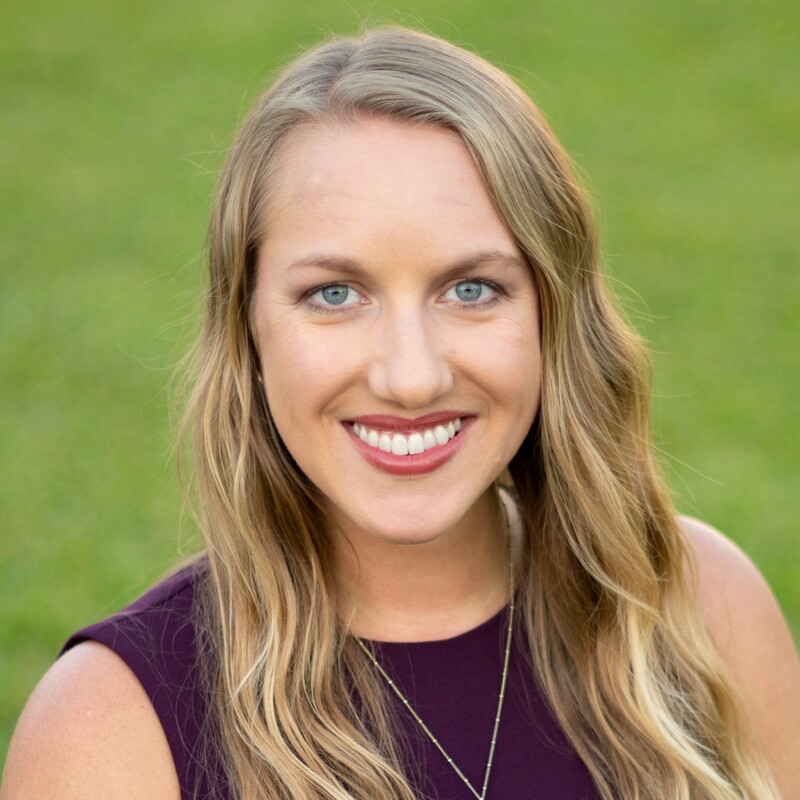 ), and Elissa Malespina (Professional Development Chair!) — such a great team! 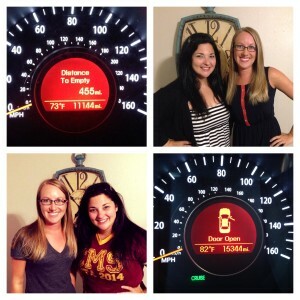 After the breakfast, Alaina and I jumped in the car and hit the road…and the whirlwind began! We visited my family in North Carolina en route to Washington DC. 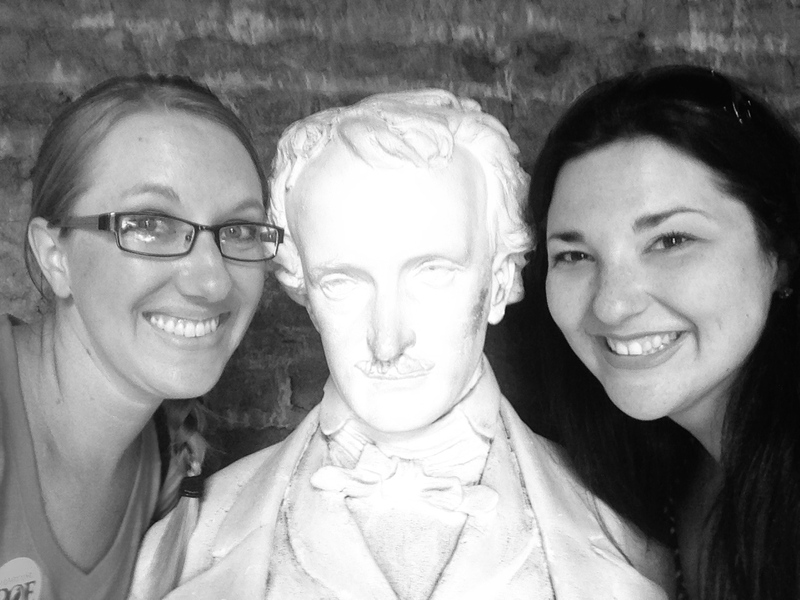 We also made a pit stop at the Poe Museum in Richmond, VA.
We hit the ground running when we got to DC, seeing and doing as much as humanly possible in the two days we spent there! 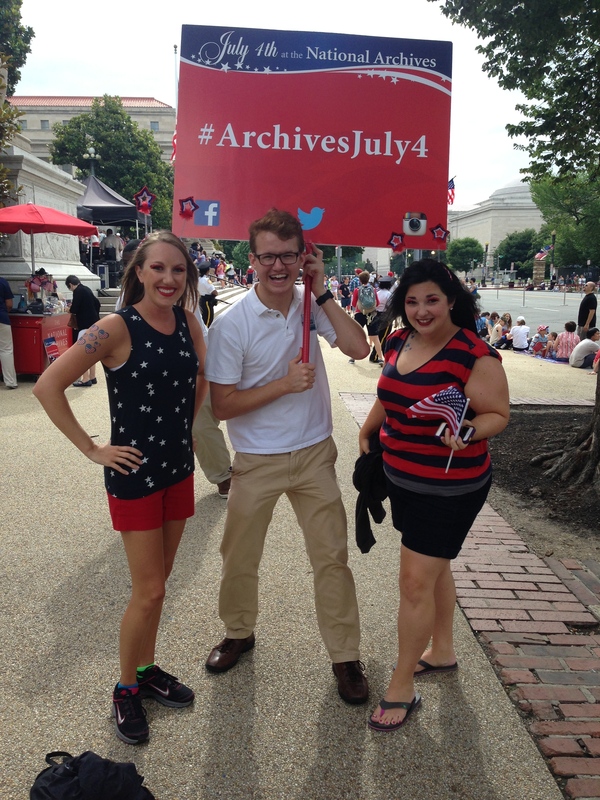 We were lucky enough to spend the morning of July 4th in DC, witnessing the reading of the Declaration of Independence on the steps of the National Archives. 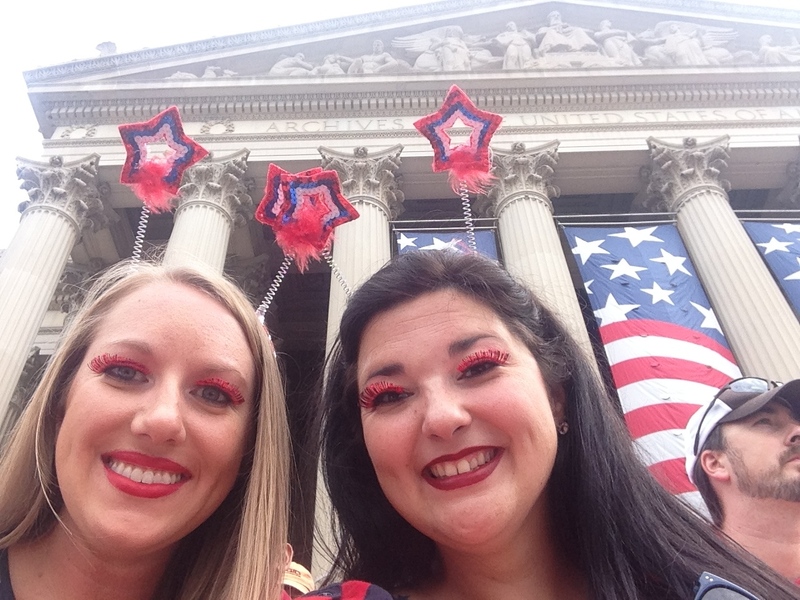 So of course we dressed up! 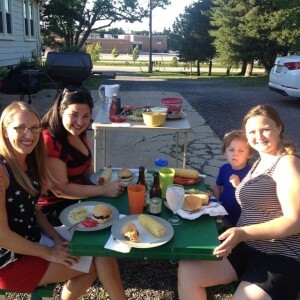 We spent the rest of the 4th with our awesome friends Matthew & Aimee Winner (and their precious son Jonah, too!). I love that so many educators who started as strangers, then became members of my PLN, and I now consider them to be dear friends! 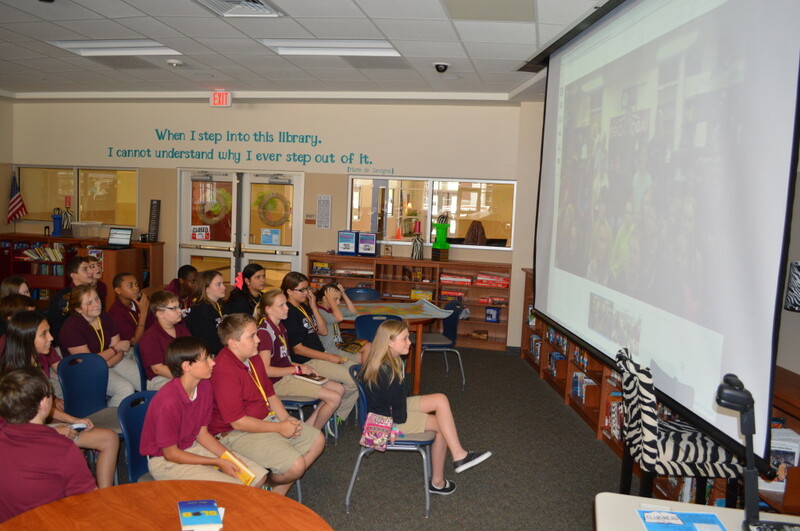 This trip was full of visits with library and teacher friends, which made it super special. From Baltimore, we headed to New York to pick up my mom for a few fun days in the city. 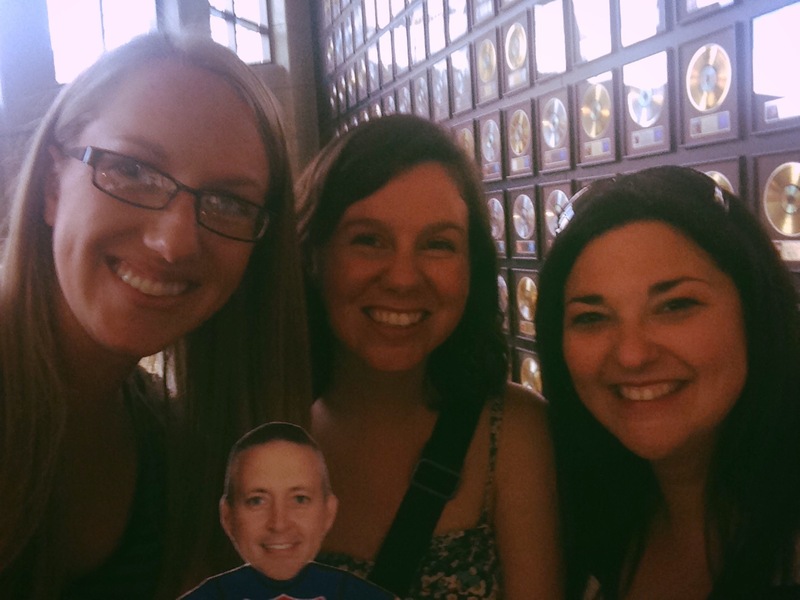 We saw the sights (including a Statue of Liberty and Ellis Island tour), saw some shows (Les Miserables and Bullets Over Broadway), and saw some friends! Our friends Rose Luna and Margaux DelGuidice took us for a wonderful stroll along The High Line. 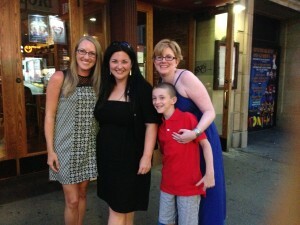 Also while in NYC, we met up with Elissa Malespina and her family for a yummy dinner at Trattoria Tercolori. 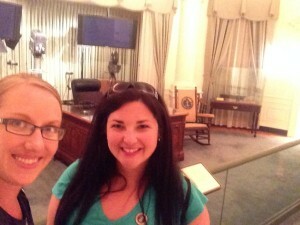 From NYC, we headed to our second presidential library stop in Hyde Park, NY to the FDR Presidential Library & Museum. (We also visited the Carter Library in Atlanta, which is my least favorite of the eight we’ve visited so far.) I definitely recommend visiting the home and museum in Hyde Park, it was a great stop! 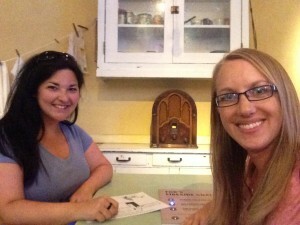 One of my favorite features was the little rooms set up where you could listen to fireside chats. 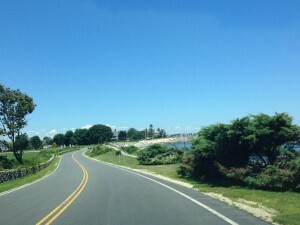 From Hyde Park, we headed to Newport, RI. This was probably my favorite stop of the trip! 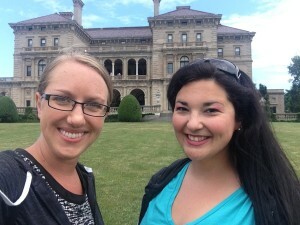 I am ready to start planning a trip back to New England, and spending several days in Newport, for sure. We visited The Breakers, one of the Newport Mansions. Our next stop after Newport was Boston! At this point, we were in untraveled territory for me…and I do love a city! 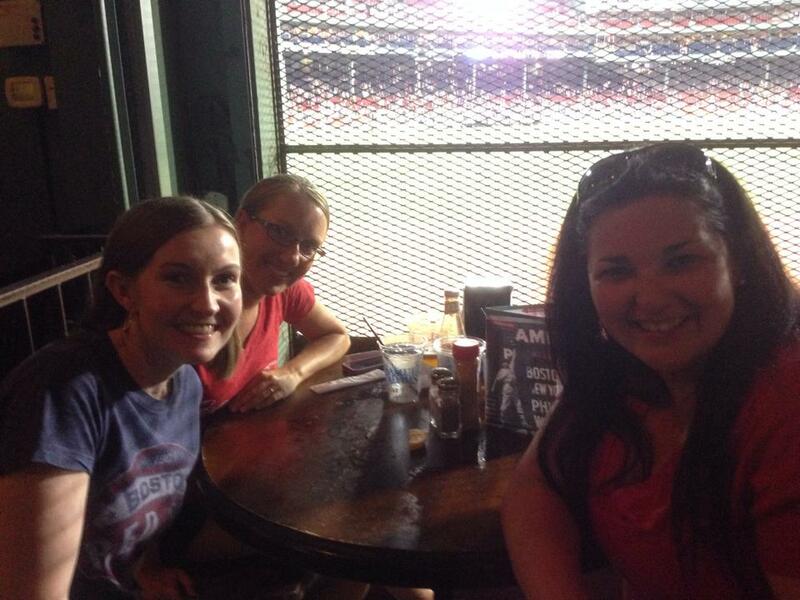 One of the highlights of this trip was visiting with Jenn Hanson and watching a Red Socks game from Bleacher Bar…what a cool experience! 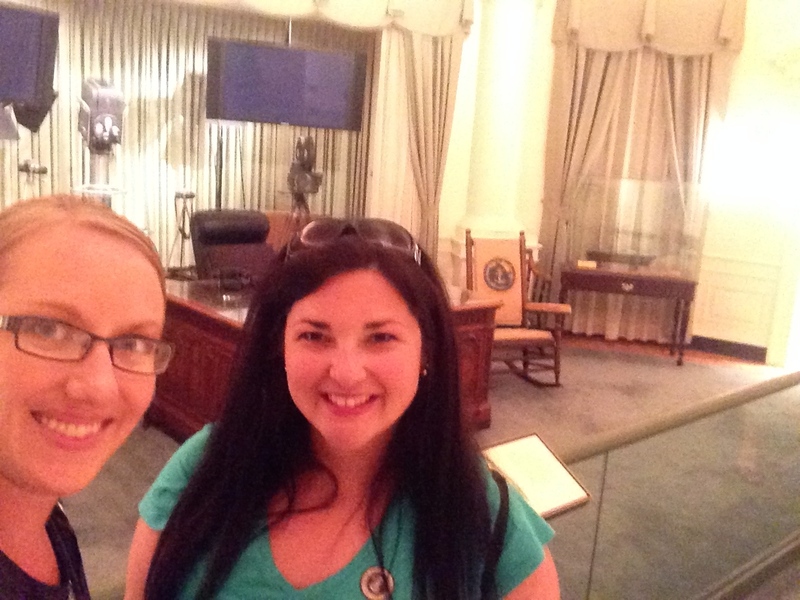 And of course we visited the JFK Presidential Library & Museum, too. From Boston, we took the beautiful scenic drive down Highway 1 to Portland. This was EXCELLENT road trip driving, folks! We arrived in Portland in time for another one of the highlights of our trip…a lobstering excursion! Our cruise with Lucky Catch was so much fun. 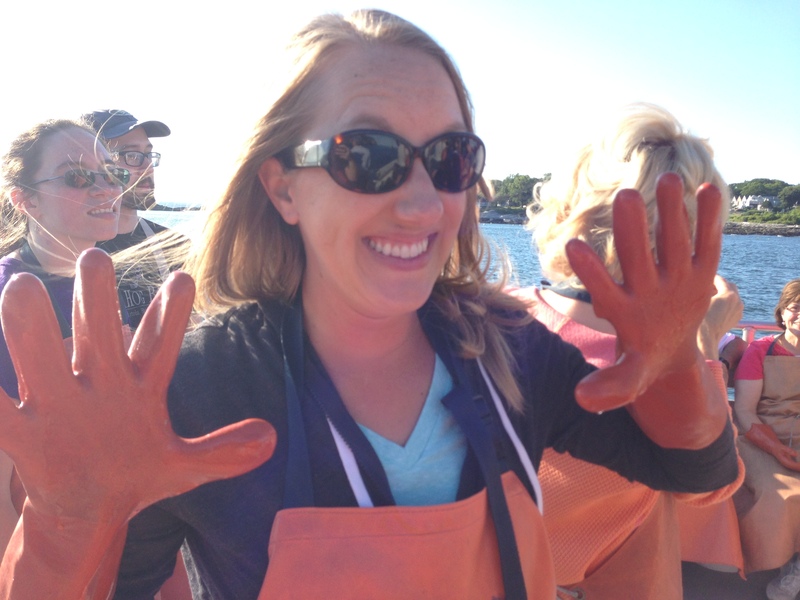 Not only did we get to see the beautiful coast from the water, but we got to participate in the whole lobstering experience! From Portland, we headed up to Canada! We visited Montreal, which was very…French! 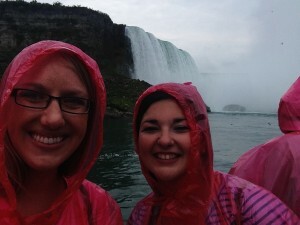 We also spent a night in Toronto, then we visited Niagara Falls! WOW! In order to find our way home, we had to start covering some serious ground, with a few fun stops along the way. 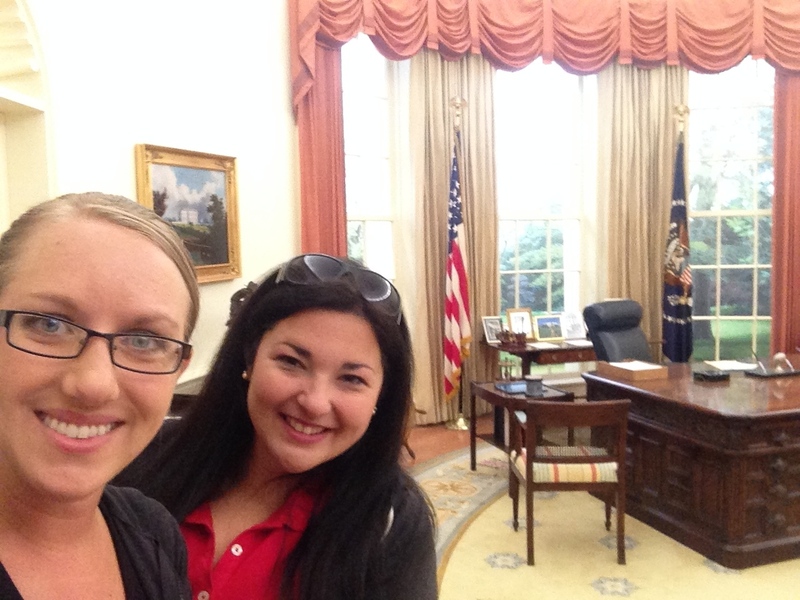 Of course we visited the Ford Presidential Museum in Grand Rapids (and another Oval Office replica photo, because we must)! We drove through Indiana and made our way to Kentucky…of course we stopped at Churchill Downs in Louisville. And our final stop was to visit the recently relocated CMS teacher Alex Young at her new home in Nashville! Of course we had to see the Country Music Hall of Fame (and Flat Fountain was happy to be there as well, of course). And there you have it! 21 days on the road, 4200 miles (EXACTLY! ), and countless memories. 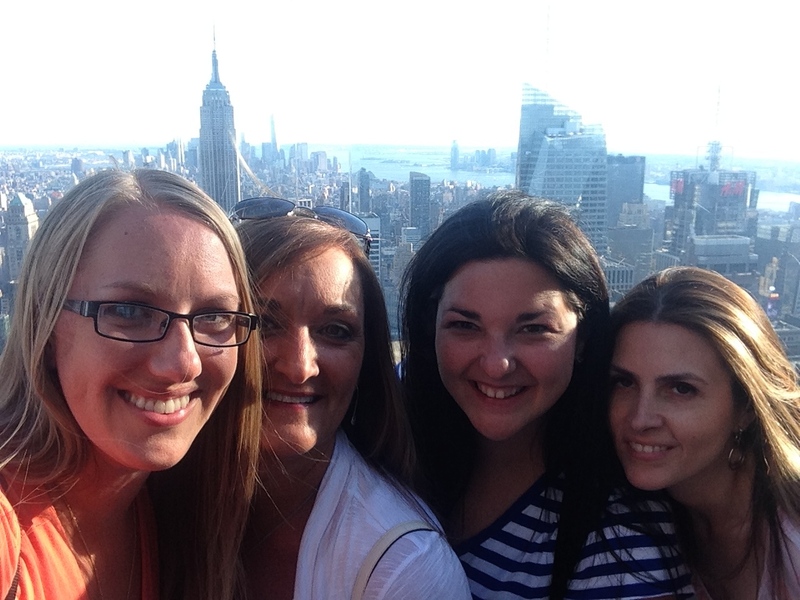 What stands out to me the most about this trip is the number of educator friends that we met up with and stayed with…so much PLN love! Now it’s time to get in gear for the new school year. So much to do in so little time…but it was worth being on the road and living the summer life! In just one month, educators from all over the world will flock to Atlanta for this year’s International Society for Technology in Education (ISTE) conference! This year will mark my fifth consecutive ISTE conference. My first ISTE conference was 2010 in Denver, and it was a life-changing moments for me. 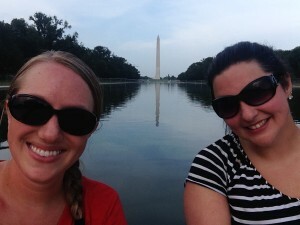 It was my first big conference, and it was there that I really came to understand the power of having a PLN and making face-to-face connections with people that inspire me all year long. 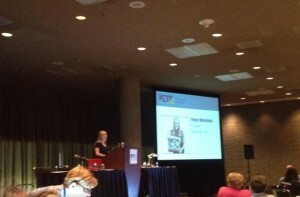 Now, ISTE is the conference that I look forward to the most each year. It’s not only a chance to make new connections and learn new things, but also to reconnect with the people who I now consider to be dear friends in addition to the professional inspiration they constantly provide. This year’s conference will be extra special for a few reasons. This conference will mark the end of my year as SIGMS/SIGLIB/ISTE Librarians Network President. 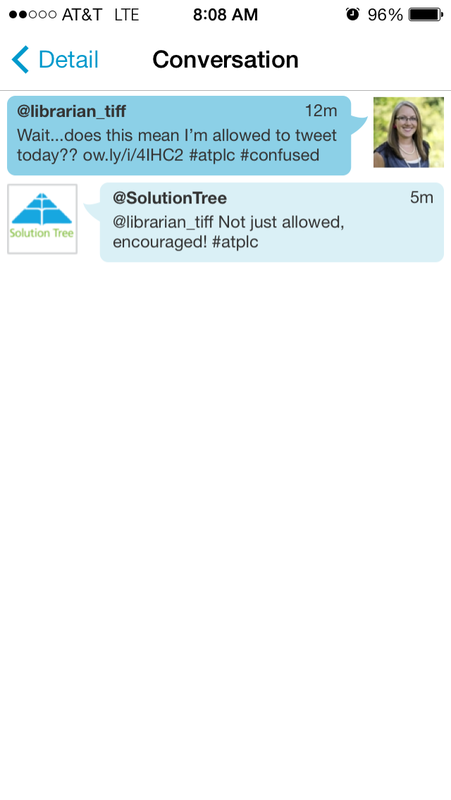 Our group has gone through some crazy rebranding/name changing with ISTE this past year, but we’re still the same awesome group of library leaders that are pushing to see technology used in engaging and innovative ways in our schools. 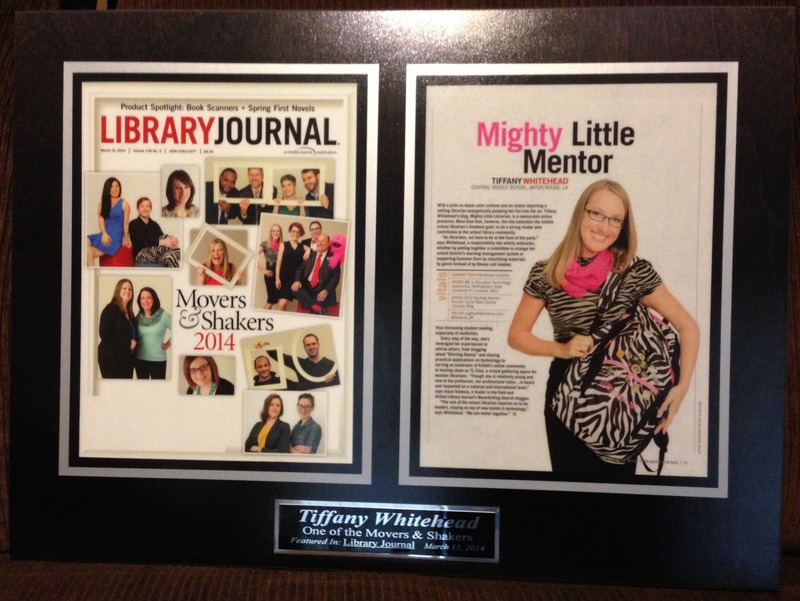 After getting so much from the organization (and the Librarians Network in particular), I am so thankful that I was given the opportunity to give back by serving in a leadership role. It’s been an amazing experience to work with an awesome leadership team (THANKS Maureen, Jenn, Donna, and Elissa — you are all so great)! 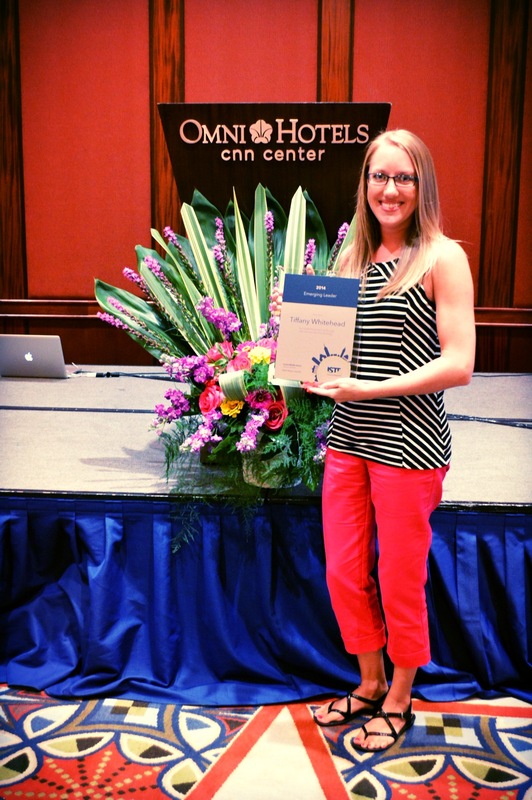 This year’s conference will also be extra special because I’ll be recognized as one of ISTE’s 2014 Class of Emerging Leaders. It’s such an honor to be selected along with the others in this amazing group of young educators who are working hard to make a difference in their communities. Hang out and make connections. This is what the conference is all about, for me! Sure, there’s lots of great information in the MANY sessions that take place during the conference, but I think the most valuable connections and learning take place through conversations and meeting new people. Great ways to do this include volunteering (even if it’s your first conference, get involved and VOLUNTEER! ), visiting the lounges, and attending events/parties. And make sure you have some business cards handy for when you meet new folks! 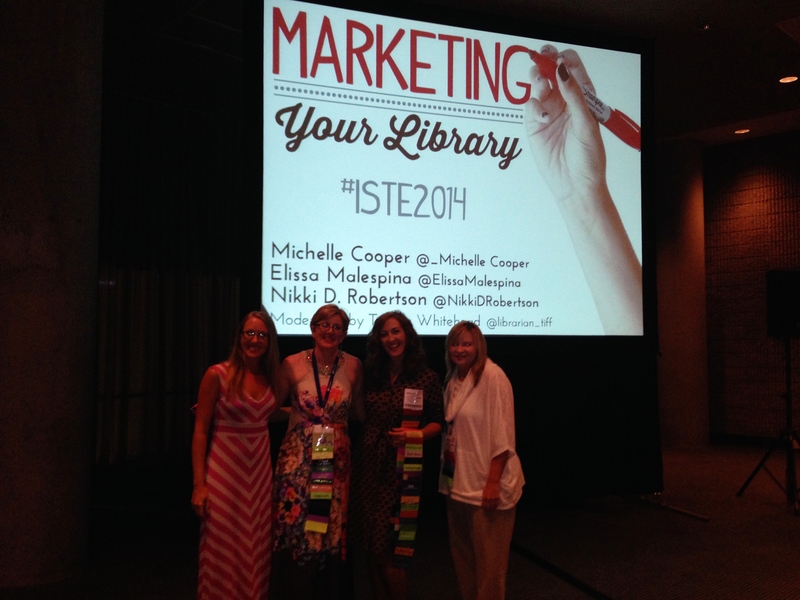 Use the #ISTE2014 hashtag. 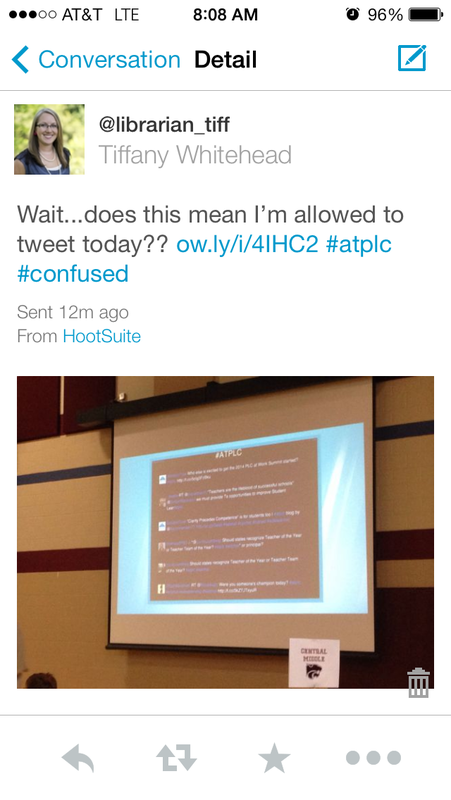 Apparently the official hashtag is #ISTE2014 and not #ISTE14 this year. 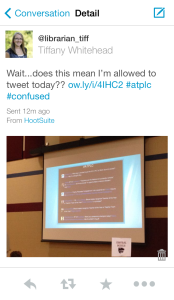 If you are attending the conference, you MUST take advantage of the power of Twitter before, during, and after the conference. And if you’re not able to attend the conference this year, following the hashtag will give you a wealth of resources so you can still learn from afar! Take in the city. 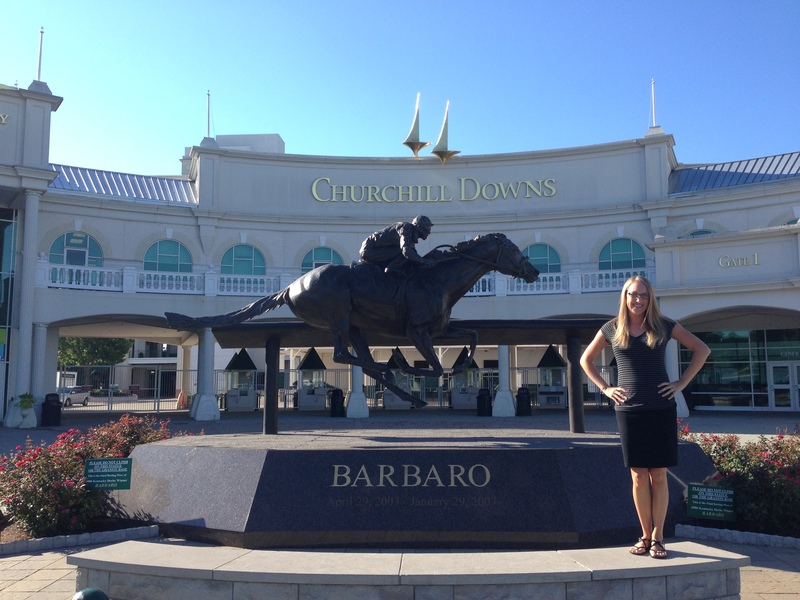 I always make a point to do some fun sight seeing when attending a conference. There will come a point where your brain is completely overloaded, so plan something fun that will help you recharge your battery! This year in Atlanta, I’m super excited to visit the World of Coca-Cola and the Jimmy Carter Presidential Library & Museum (I absolutely LOVE a presidential library!). Don’t forget to eat. I always thought this was dumb when I saw it on conference planning lists…but then I realized that I never make time to eat at conferences because I just get so BUSY! 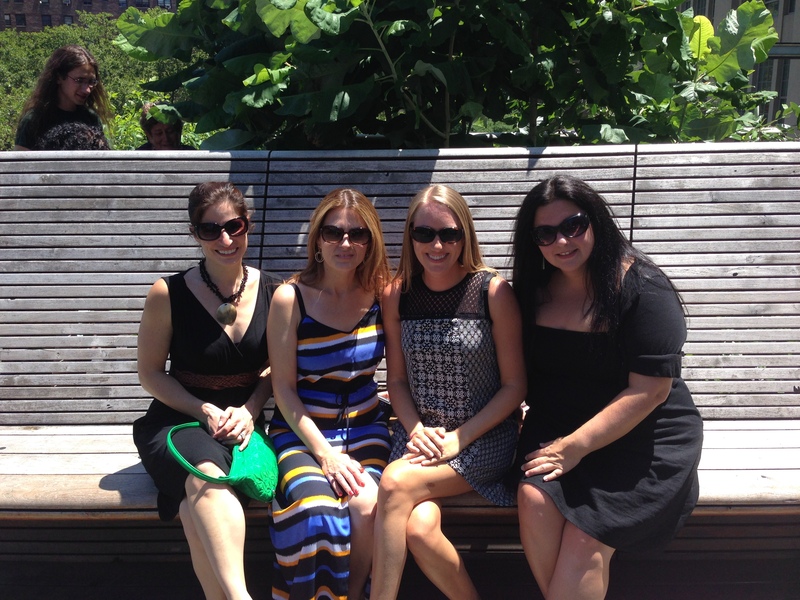 Plan some lunch and dinner dates with friends at the conference. Grab something to eat and drink anytime you have the opportunity. Bring snacks. And water. This is just as important as wearing comfortable shoes and not forgetting your extra battery charger! 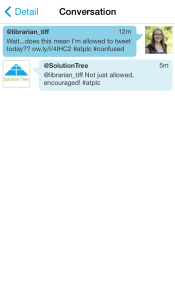 Check out all of our awesome events with the ISTE Librarians Network! 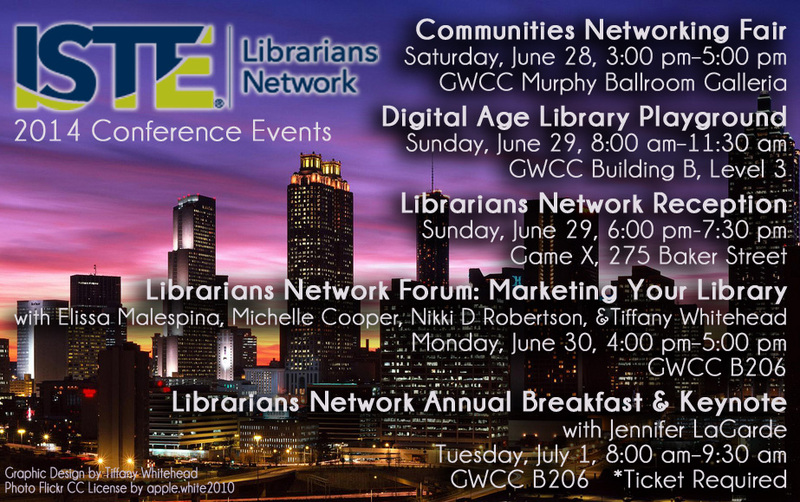 See and save the graphic below so you won’t miss any of these great chances to connect with awesome librarians and build your PLN! 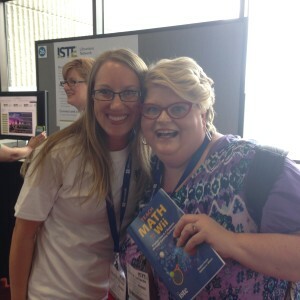 Will I be seeing you at ISTE this year? 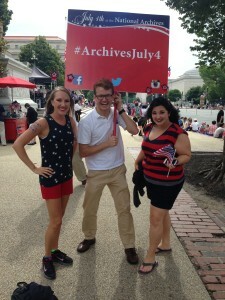 And don’t forget…there’s still time to volunteer for the Digital Age Library Playground…sign up for a spot here! So I’m jealous of all of the excitement going on with Dot Day and figure it’s time I got my students involved with this! 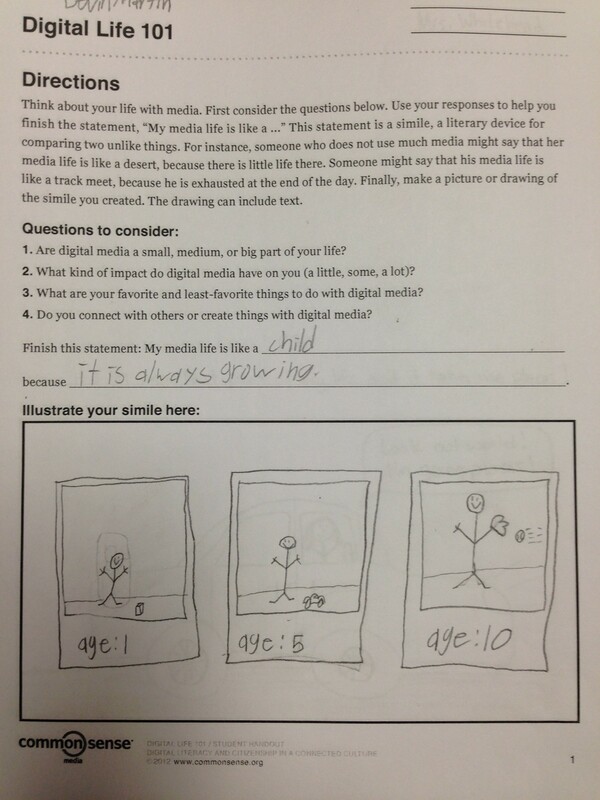 I absolutely love my friend Matthew Winner’s idea of the trading cards (see here and here) and want to use that with my students! I also want to make some Google Hangout connections! 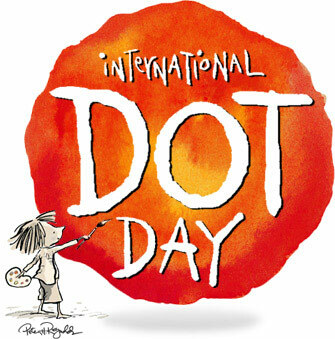 I’m planning to share this video to introduce the students to The Dot by Peter Reynolds. Then I’m planning to have my students make three trading cards (one to trade with another student in their class, one to trade with a student in their grade but on the other team, and one to send to our friends that we connect with via Google Hangout). So do you want to hang out with us? I can be somewhat flexible in the times if I need to, so please let me know if you’re interested!! If you’re interested in connecting, you can leave a message in the comments or use this Google Spreadsheet to put in your information so we can connect! I hope to “see” some of you soon!! First of all, thanks so much for the positive feedback on my last (very honest) post. It’s nice to know that we’re not alone in the feelings over overwhelm that we face at the beginning of a new school year. Now that I’ve been officially back at school for four weeks (how did that happen?! ), I’m finding my groove. I hope that many of you are starting to feel the same way. There are lots of exciting things on the horizon in the coming weeks and months that I’m insanely excited about! 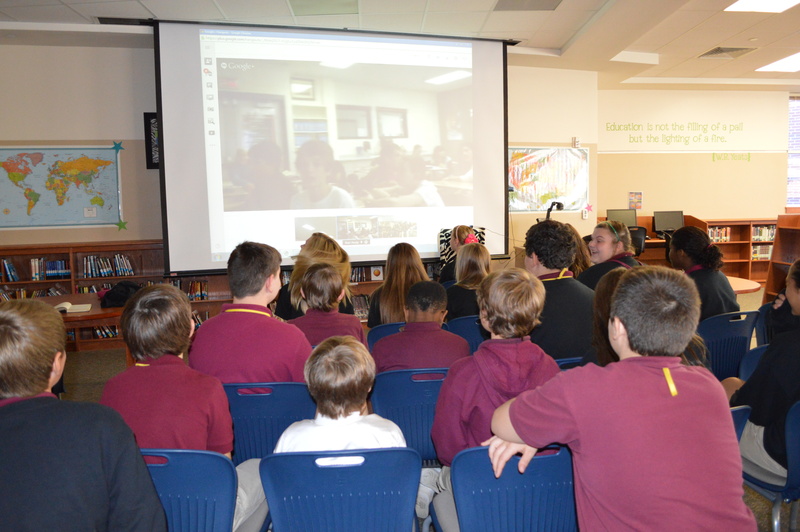 I am so excited that it’s time to kick of the new year of FREE TL Virtual Cafe Webinars! 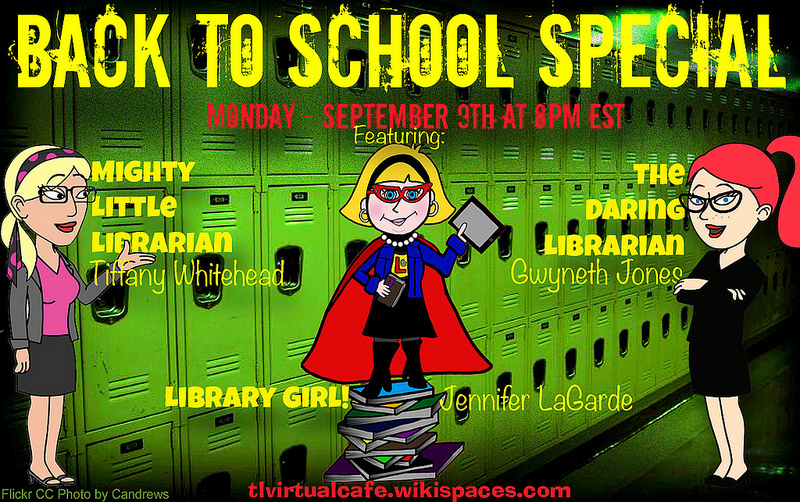 I’m honored to join my amazing friends Gwyneth Jones (The Daring Librarian) and Jennifer LaGarde (Library Girl) for the Back to School Special! Please join us next Monday, September 9th at 8 PM EST as we share ideas and get pumped up for the new school year! This next one is big…one of those surreal things that makes you freak out when you see it in print! 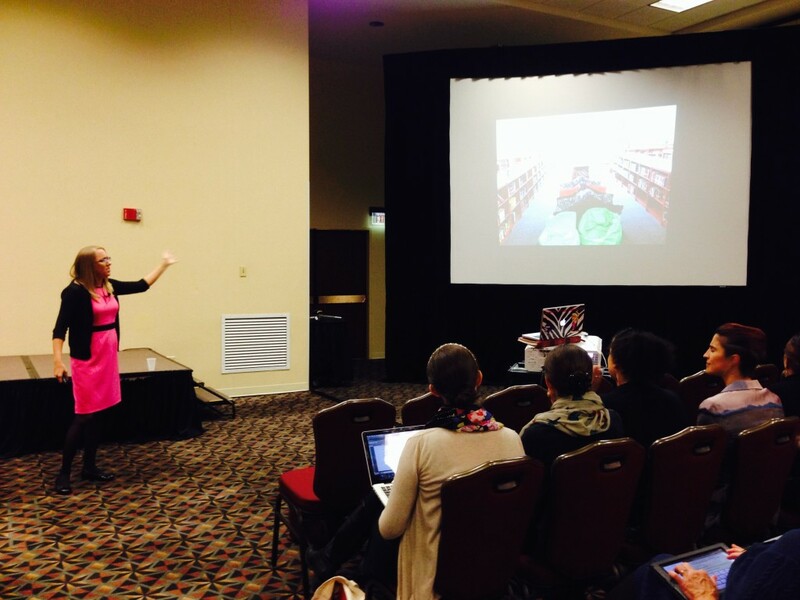 I was honored, humbled, and absolutely giddy when the Illinois School Library Media Association asked me to keynote at their conference in November! Seriously!! And then when I saw the brochure for the conference with yours truly as the Saturday Keynote Speaker, I was completely over the moon (okay, and a bit nervous…but in a totally awesome way)! 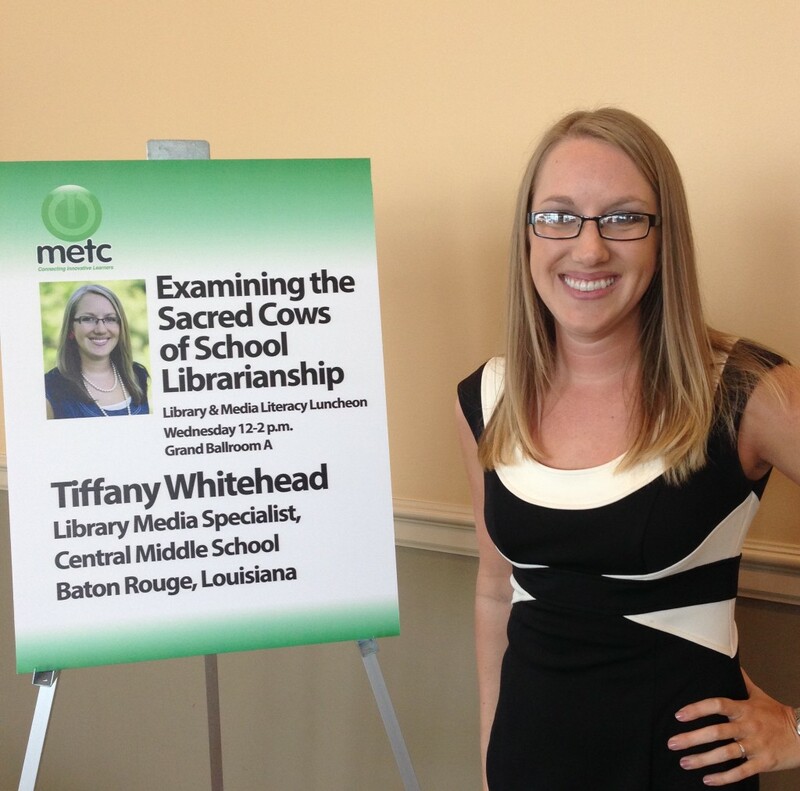 I am so excited to share my keynote, Examining the Sacred Cows of School Librarianship, and meet awesome members of my PLN in Illinois! I’m telling you, I’m one blessed girl! 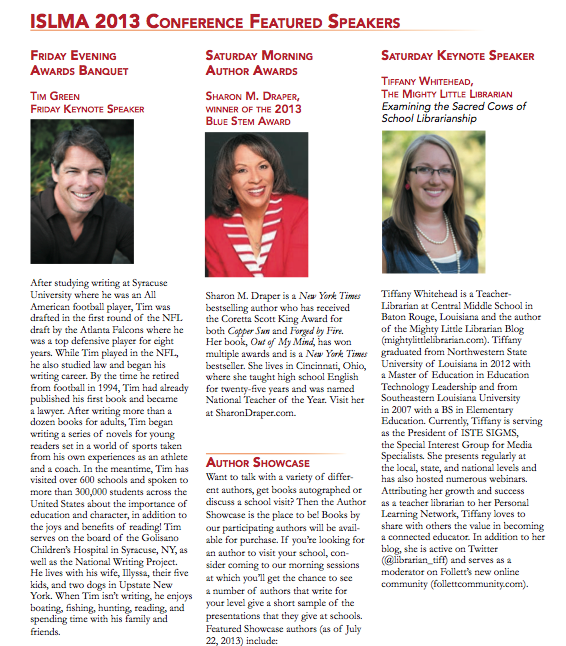 And um, yeah, I’m on the flier with Tim Green and Sharon Draper…THAT probably blows my mind more than anything! Yowza! Also in November (talk about a busy month! 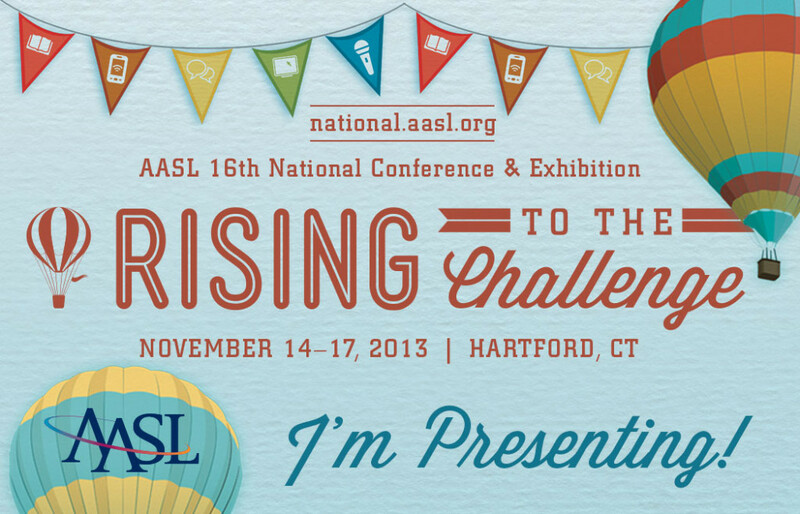 ), I’ll be participating in several presentations at AASL in Hartford, Conneticut! 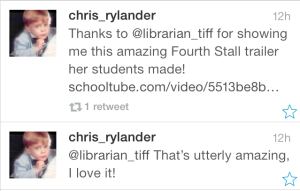 I absolutely love AASL. I attended for the first time two years ago in Minneapolis, and I hope I always have the opportunity to attend. 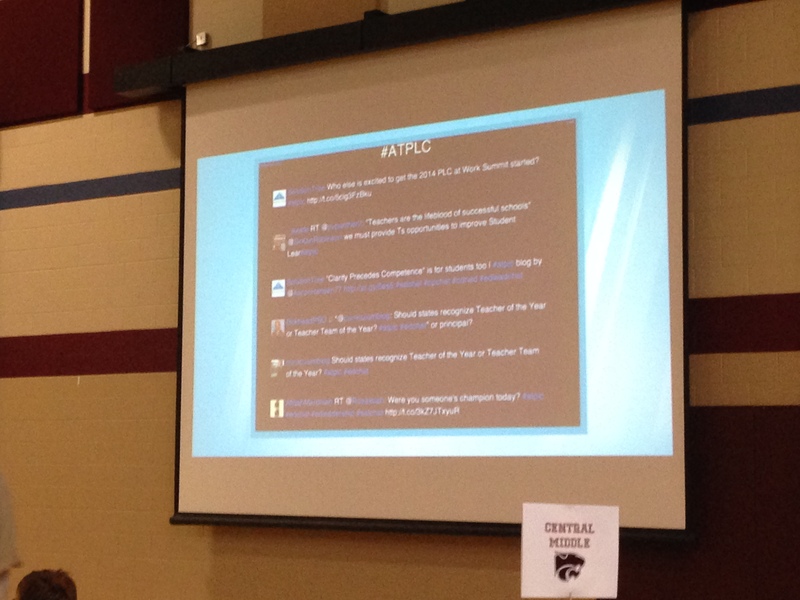 It’s so great to be surrounded by tons of awesome teacher-librarians ready to share and learn together! I’m so excited to be able to present with so many of my library friends and mentors at this conference! First, I’ll be joining the party with the incredible Joyce Valenza, Gwyneth Jones, Michelle Luhtala, and Shannon Miller for the pre-conference workshop “A Library in Every Pocket.” Not able to make the pre-conference workshop? Plan to join us for the abbreviated encore on Friday! 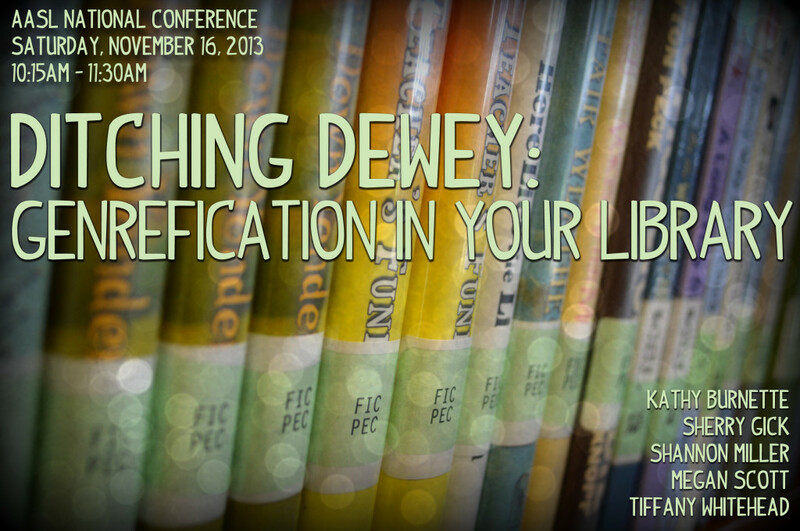 A topic that sometimes seems to cause a stir is the idea of Ditching Dewey! This session with Kathy Burnette, Sherry Gick, Shannon Miller, Megan Scott, and I will focus on how we have genrefied our libraries! 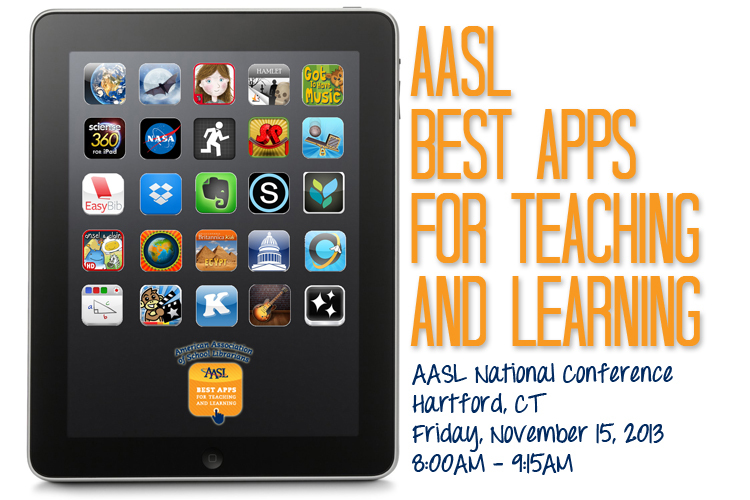 Although I didn’t get to take part in the initial presentation of the AASL Best Apps for Teaching and Learning at ALA in Chicago, I am so excited to have the opportunity to help share our awesome list in Hartford! I’ve so enjoyed working on the Best Apps Task Force and I’m so proud of this inaugural list that has been released! Even though some of these big events are still several months away, I can’t help but get pumped about all of these awesome things on the calendar! Are you planning to attend either of these conferences or the TL Cafe Back to School Webinar? I hope to see you there! I’m so excited to share two great links for you that are exciting AND library related during a time when I’m also posting lots of road trip stuff! First, this has been in the making for quite some time! 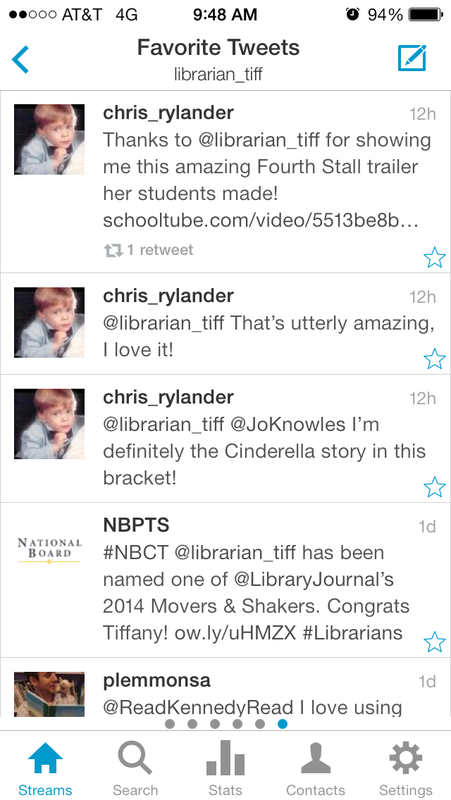 For the past year, I have served on the AASL Best Apps for Teaching & Learning committee. The AASL Best Websites have been hugely successful, and so I was very excited to be invited to join the team that would put together the first ever Best Apps list! 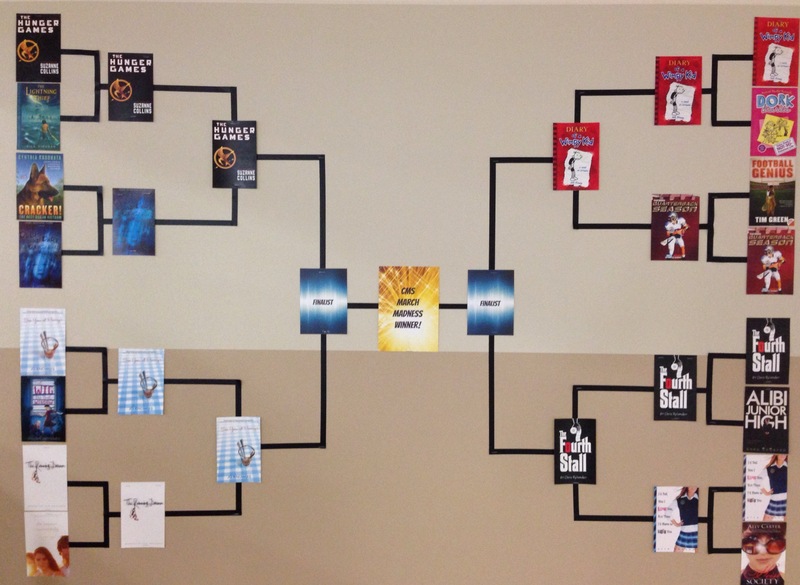 We are all so very excited to see this list go out to educators, and the announcement was made at ALA in Chicago. Although I wasn’t able to be there for the presentation, I’m so happy and honored to have served with such an amazing group on this AASL committee! 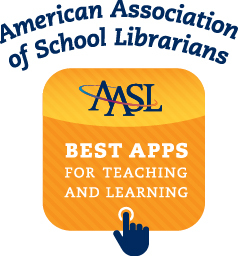 Click here to see the 2013 AASL Best Apps for Teaching & Learning list! I was so thrilled when I was asked to write a piece about ISTE, particularly about the SIGMS events, for School Library Journal. Even though it was hectic getting this written amidst crazy conference and road trip activities, this was really exciting for me and I’m happy to share the article with you now! Click here for “Flipped Classrooms, Librarians as ‘Defenders of Wisdom’, and the Hottest Tech Tools” on The Digital Shift.